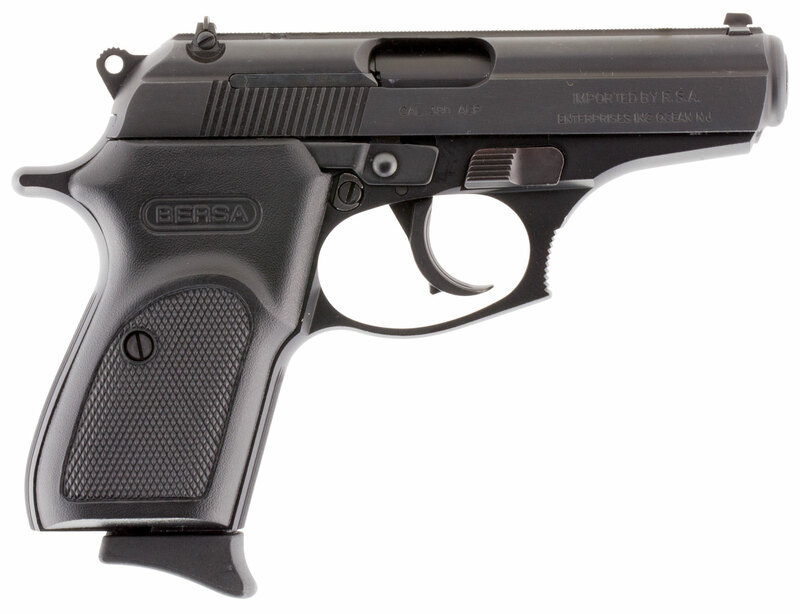 Bersa's Thunder 380 is ideal for personal protection and offers accuracy, reliability, versatility in a lightweight, compact design. Its aluminum alloy frame has a combat style trigger guard, integral locking system and decocker safety, and a micro-polished bore with sharp, deep rifling. The steel slide features a 3-dot sight system for the prefect sight picture. The Thunder 380 features an extended finger rest on the bottom of the magazine for comfort. This model has a black matte finish.